an area for us to communicate, collaborate, and LEARN! Baa Baa Smart Sheep AND I Love Lemonade! Sheep is bored. Sheep comes across something that looks suspiciously brown, but looks delicious. Sheep tries to convince Turkey to eat this substance. Spoiler alert: Poor Turkey! But Turkey doesn’t learn. In the sequel book (I Love Lemonade) Turkey is convinced he will NOT be tricked again and tries to trick Sheep. But, somehow, Sheep turns it back around on poor Turkey! How clever! YOU HAVE TO READ THESE BOOKS! They are even better when read aloud! Another great addition to the Elephant and Piggie series. This one really makes you think about how we are all different but how we must still respect one another’s differences. Itzy Bitzy wants to be called just Itzy now that he is headed to spindergarten. But, changing a nick name isn’t as easy as he thought it would be. 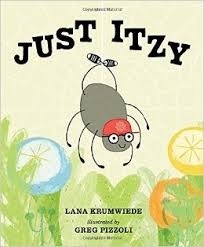 The main focus of this picture book is how Itzy sets a goal to spin a web and catch a fly so he doesn’t have to bring his lunch to school. After lessons from his teacher, Mr. Webster, Itzy sets out to spin his web to catch his lunch. His first attempts are not successful, and he wants to quit after each attempt, but Mr. Webster keeps reminding Itzy to “Keep your eye on the fly” and to not give up. Use this book with primary students who need help setting goals. Transfer the story of Itzy setting his spider goals to students thinking about goals they want to set in school for the year. This book is a great tie in to the First 6 Weeks of School and Responsive Classroom! 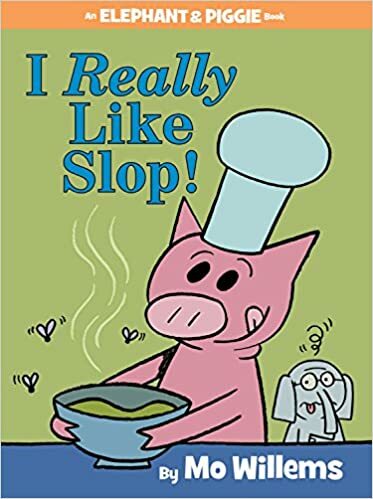 There are subtle references to Little Miss Muffet, the Old Lady Who Swallowed a Fly, and other nursery rhymes spattered throughout the book. A great comedic read! Publisher Notes: Jeremy, who longs to have the black high tops that everyone at school seems to have but his grandmother cannot afford, is excited when he sees them for sale in a thrift shop and decides to buy them even though they are the wrong size. You are currently browsing the archives for the Peer Pressure category.